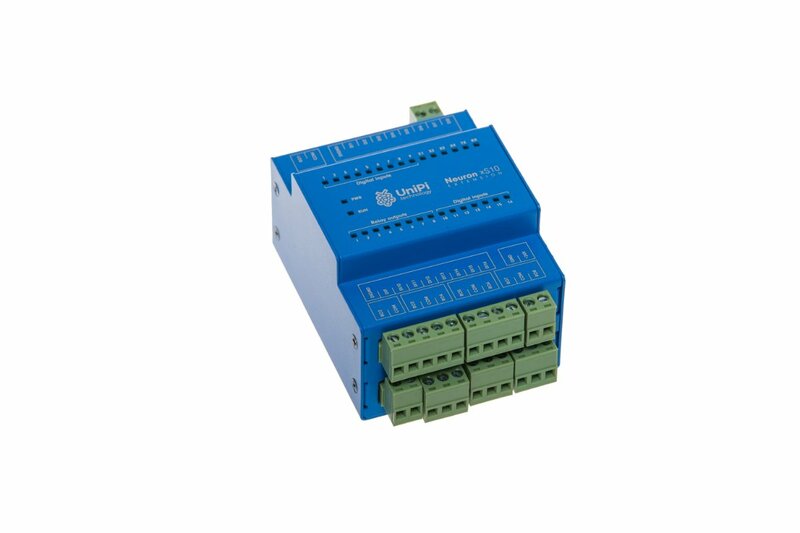 Neuron xS10 is an extension unit for Neuron and Axon programmable logic controllers, allowing the user to extend automation networks by adding more I/Os. 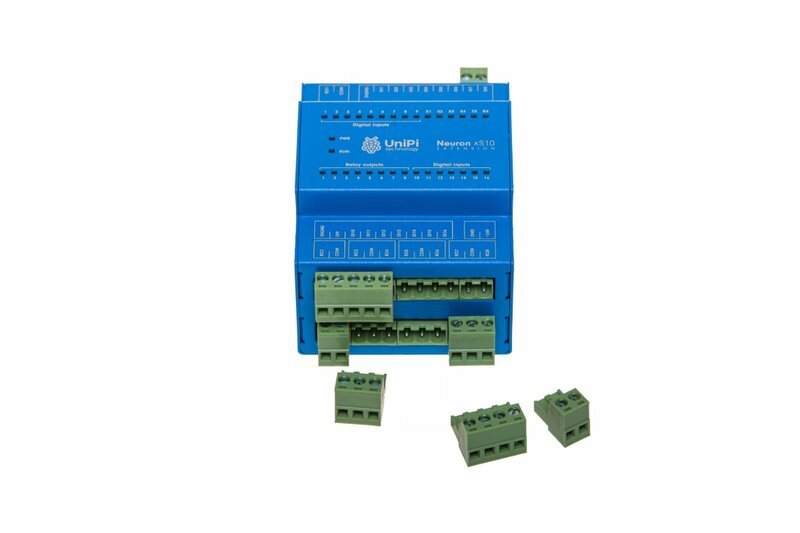 The xS10's architecture offers a combination of additional digital inputs and relay outputs. 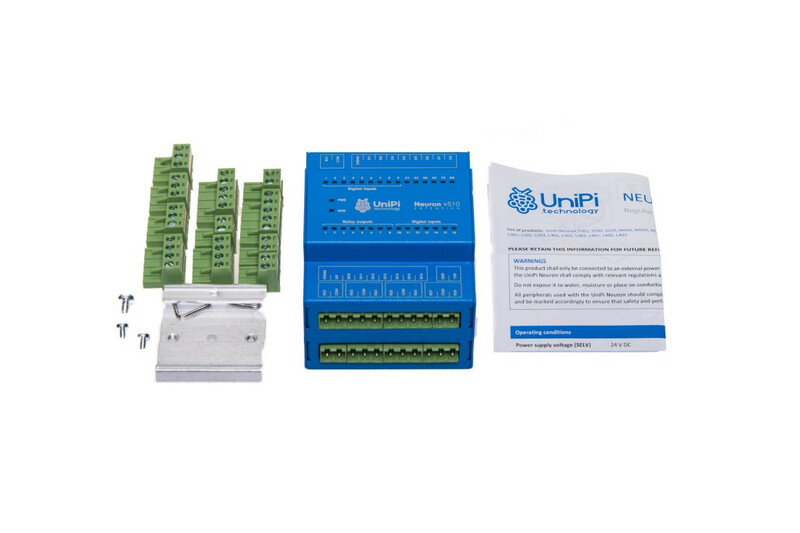 The product does not contain a computing module and cannot be used separately. 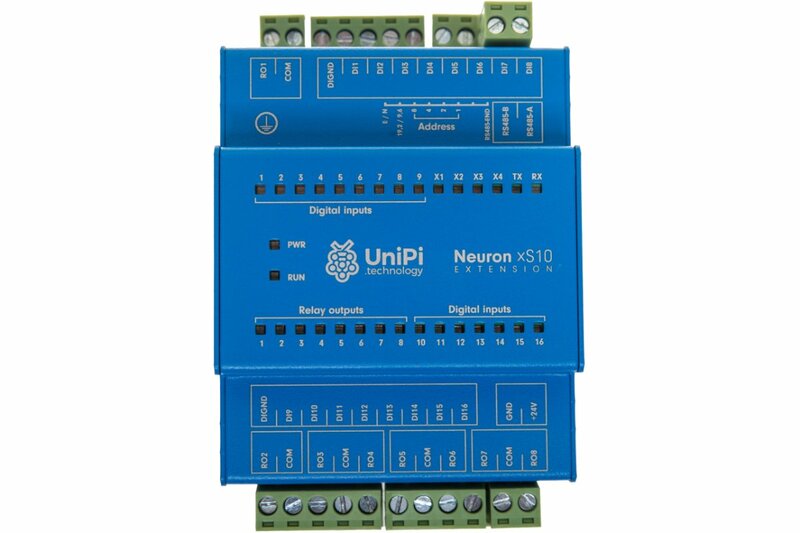 The Neuron xS10 is an extension module for the UniPi Neuron PLC product line. 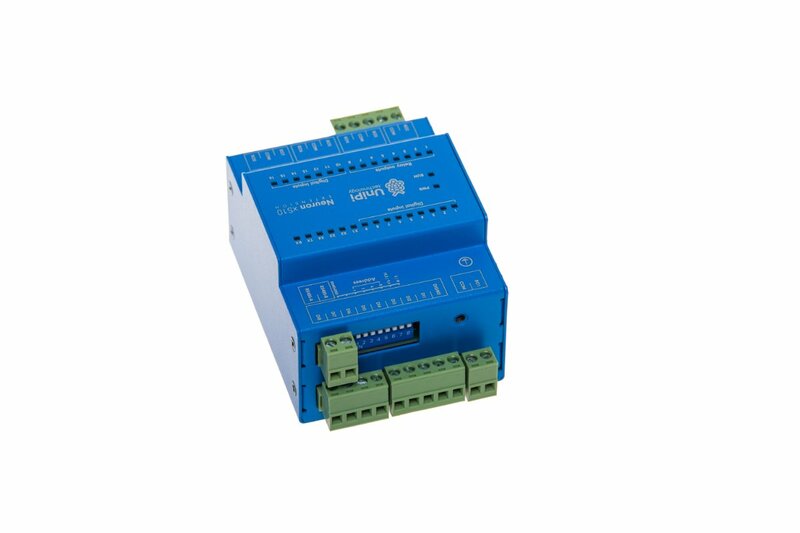 The module is based on the Neuron S103 controller, the computing module is however replaced by an additional I/O group. 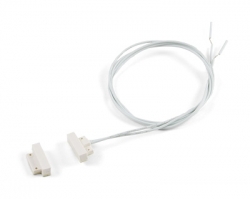 The xS10 model features a combination of digital inputs and relay outputs.